Perhaps collectors were too busy being distracted by the onslaught of online releases, because these figures surprised EVERYONE. 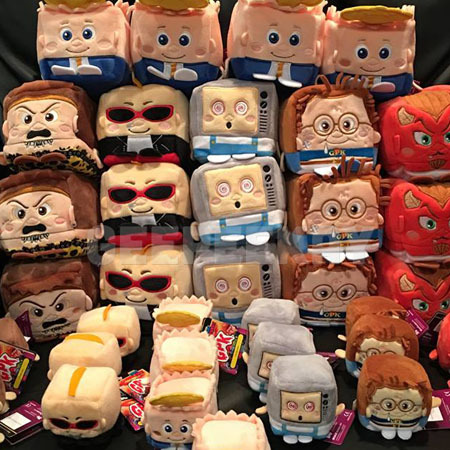 There was not one piece of advertising from Topps...nor was there a peep from WishFactory...rather these figures just ended up on Target shelves out of nowhere! 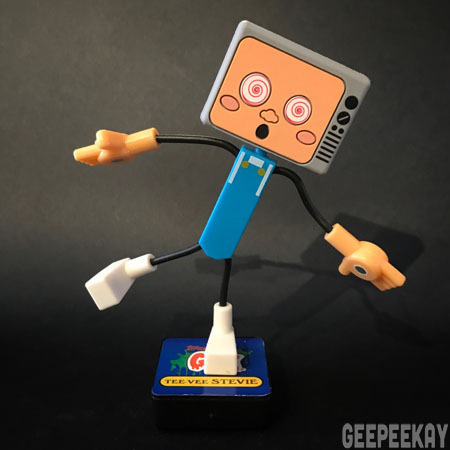 No stranger to pop-culture licenses, Kawaii Cubes apparently picked up the GPK licensing rights and decided to expand on their toyline that already included DC, Star Trek, WB, and more. 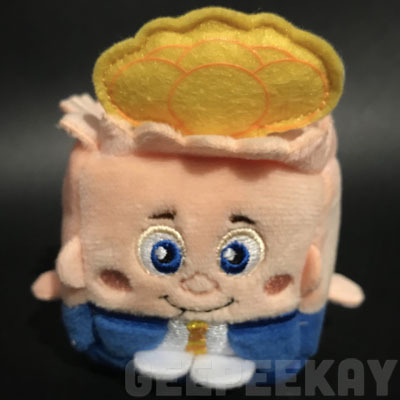 And instead of expanding their popular plush releases, they instead decided to go with the less-popular 'Pozers' figures. 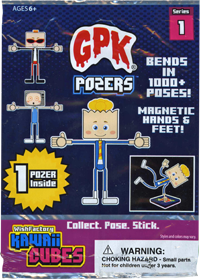 GPK Pozers were sold in blind bags that were distributed in a 'gravity-feed' style box. 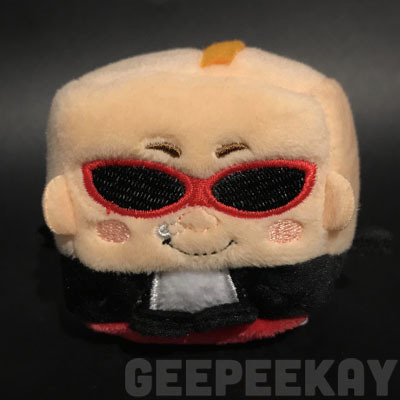 The box contained 36 blind bags (sold for $6.99/ea), and contained a transparent display section on the front showing the Tee-Vee STEVIE figure. 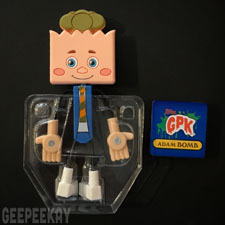 The figures were sold in blind bags featuring the 'GPK' logo and Adam Bomb figure on the front. 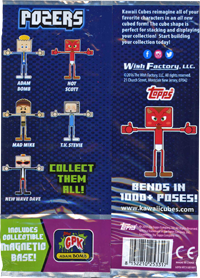 In addition to a number of different pieces of information about the product, the back of the package included a picture-checklist of the five figures available to collect. 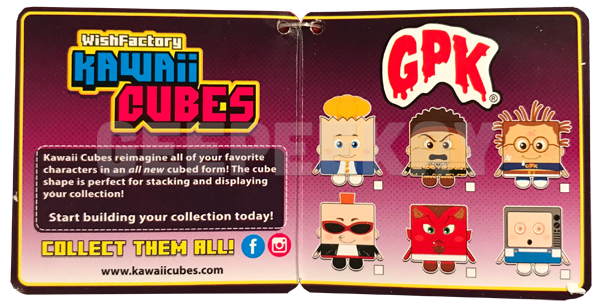 It should be noted that Kawaii Cubes stamped "Series 1" all over the packaging, so it will be interesting to see if further series are released. 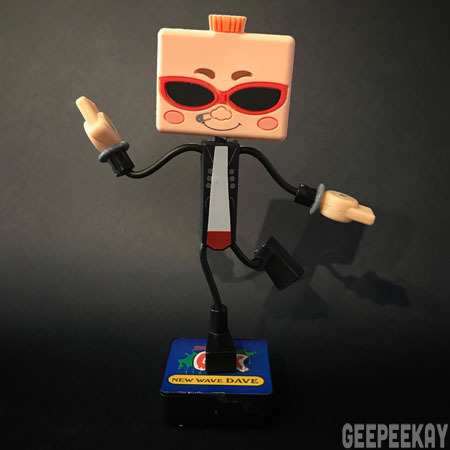 Each blind bag contained one figure and one magnetic base. 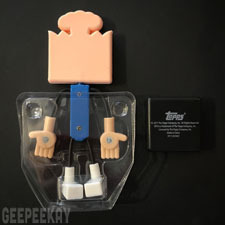 The figures were secured in a clear-plastic clamshell, and the magnetic base floated loosely in the bag. 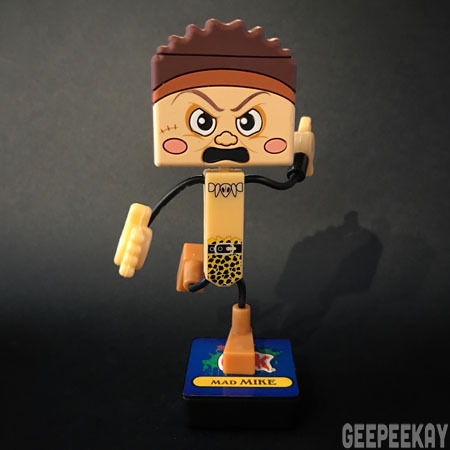 There are five characters in the Series 1 release, with each figure measuring approximately 5" tall. 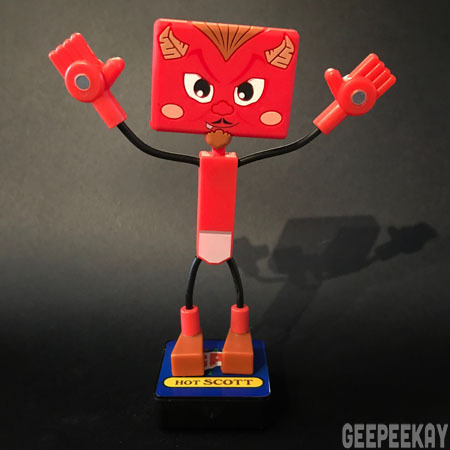 Below is a hi-res gallery of the front of each figure. 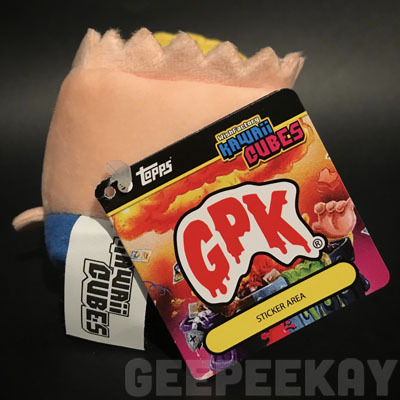 Similar to the GPK Pozers, the GPK Plush from Wish Factory snuck onto the scene and surprised everyone in the fall of 2017. 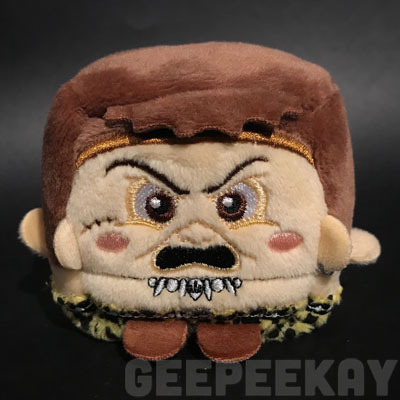 Sure, there are a number of licences out there for the plush Kawaii Cubes, and considering they already had a license for Garbage Pail Kids it should have not been such a surprise, but still...collectors were surprised and excited to have a new item to add to their shelves. 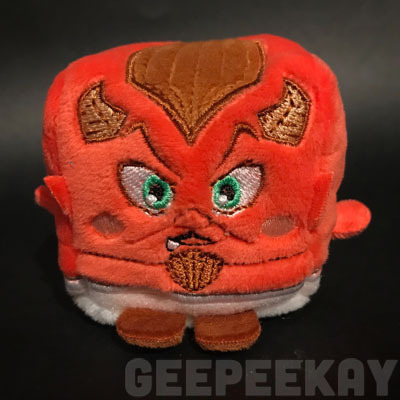 Unfortunately that excitement wasn't enough to sway retailers, and these plush cubes never reached mass-distribution. 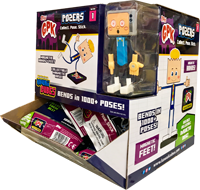 In fact, the only real opportunity for people to purchase the cubes was at the New York Comic Con. 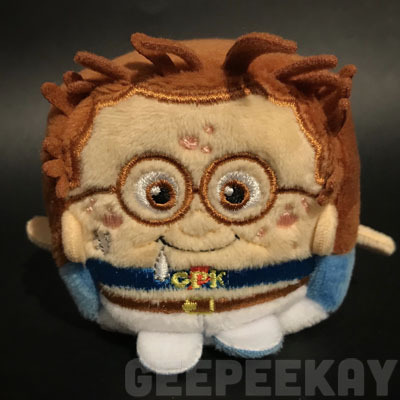 It should be noted that there is no packaging for the GPK Plush, rather they are distributed 'loose', with a cardboard tag attached to the back. 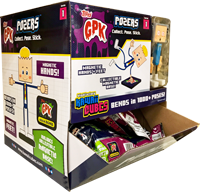 Each cardboard tag contains product information and a picture checklist for the series. 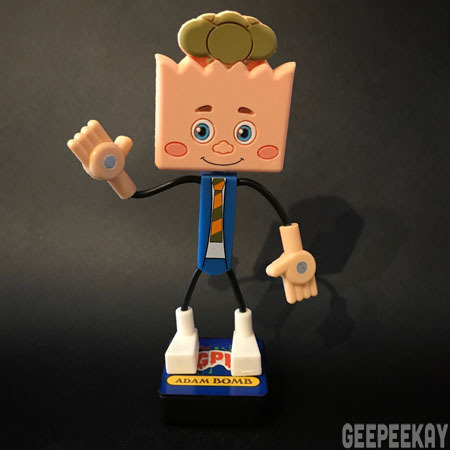 There are six characters in the Series 1 release. Below is a gallery of the front of the SMALL figures, each measuring approximately 2.5" square.